The worlds second most popular Content Managent System (CMS) ... and its completely FREE! One minute (maybe two) from now you could be blogging and managing your own website. 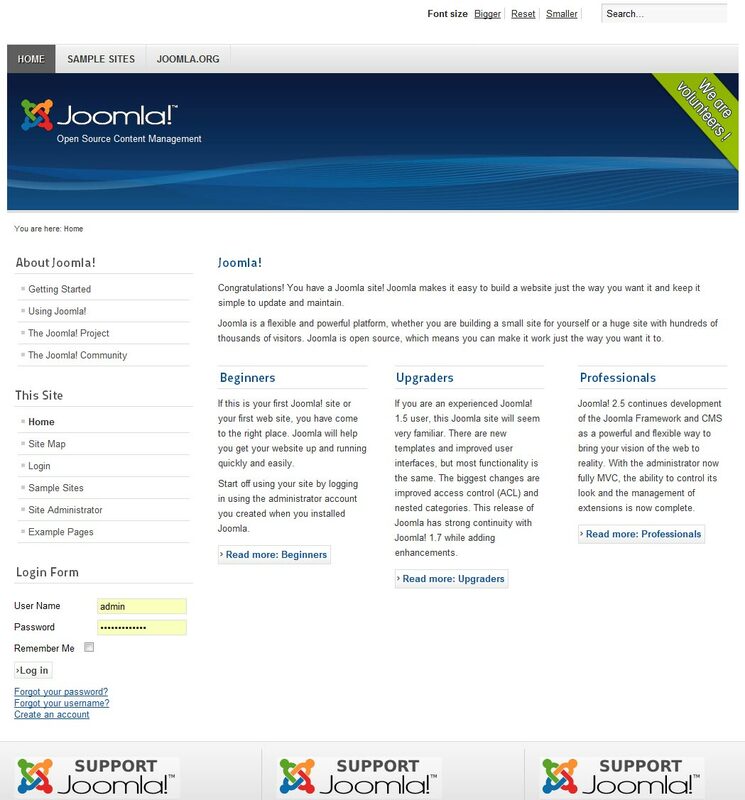 With our popular 1-click Install system... double click on the Joomla Icon in your control panel and you are done. Yes, its that easy. If you are not confident about installing Joomla on your Calco Hosting Package yourself, we will do it for you free of charge. Once Joomla is installed customisation can begin. Most users will want to install a beautiful template rather than the existing ones that come with the installation. Calco UK will introduce the new U-Build-IT service in March 2012 - Read about what it can do for you >> Customise your own Joomla Templates in as little as 10 minutes with drag and drop! Select the template (zip file) you want to install from your hard drive (or on-line) by using the BROWSE button. Now you need to set your new template as the DEFAULT TEMPLATE in the TEMPLATE MANAGER. Put a tick next to the new template's name, click MAKE DEFAULT and a star will appear on the right. NOTE : There is also a template setting independent of this for the ADMIN side of things. That is why there appears to be two templates set at any given time. Calco provide a sit down professional design service for Joomla called U-Build IT. It works like this... Make an appointment to come to our offices (call 0845 2579460 or email sales@calcouk.com). Before arriving gather together your photos of the business - products - services - charts etc and bring them with you on a memory stick or laptop or just email them ahead to us (sales@calcouk.com) etc. The service is booked hourly with an extra hour available only if you need it. Clients initially ask for two hours and this is usually about right. 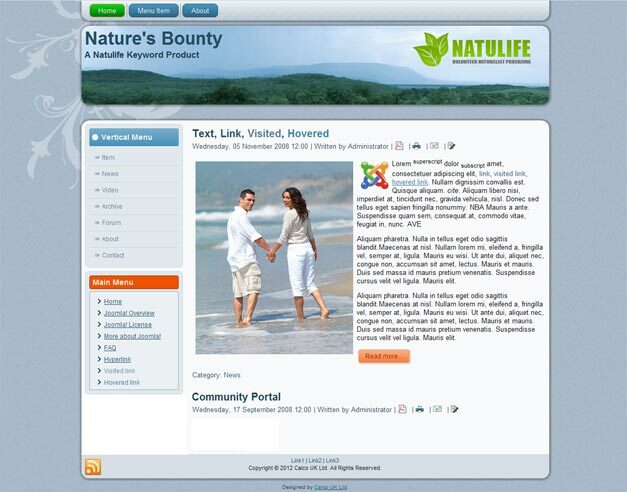 Figure 2 (below) This is what the above Joomla website looked like after just 10 minutes ... Yes its the same install - just edited! When you arrive we will go through the basics of what you can do with Joomla and guide you every step of the way in creating your first Joomla "templates"
It will help if you know the various regions of a web page. These are VERY easy to remember as they are self-explainatory and are listed in FIGURE 3. Prelim - Do the 1-click install and click the link that appears. then ... configure as follows. Step 7- Make a cup of tea and enjoy Joomla! We usually also install the TEST FILES called sample data set - this allows new users to play with the system. The option for this is one of the last stages of the install and I believe they are installed by default in step 6. * The email address must be on the domain you installed Joomla. Also ... write down your password as you can use Joomla without it. Still worried about installing Joomla on your "99" hosting package?